As home winemakers, we were very excited when Nevada passed a law in 2015 to allow commercial wineries in Nevada Counties of over 100,000 in population. At the time, we had just acquired management of an existing 3 acre vineyard in Fallon, Nevada and were very much looking forward to making Nevada grown wine. 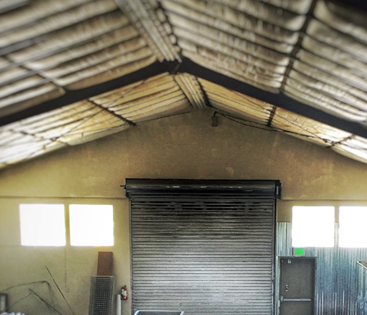 We started looking for space for a winery in Reno right away - and quickly found that it wasn’t going to be easy. We looked for over a year and finally found the ideal spot on East 4th Street - a quirky, fun, energetic and evolving re-development area that is also called the Old Brewery District. Once we had the space, we were able to start the process of applying for all of the various Federal, State, City and County permits needed…..and we did that. It’s been a marathon — but we made it to the finish line !! Oh and did we mention that it’s not only us, but two other wineries with great offerings that will sharing production space and the Tasting Room with us? This way - you get to experience not only just our great wine - but other, different wine from Basin & Range and Great Basin wineries. We’re excited to share both our journey and our wines with you soon. 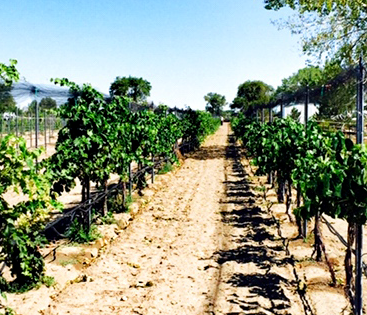 We expect our Nevada grown wine to be ready in increments over the next few months. Some wines, especially our reds, need to age in oak a few months or years to create those great vanilla and cassis flavors and aromas. Until then, we'll be serving you some of our favorite wines from El Dorado and Nevada counties. Most of these are made from grapes we picked there and brought back to Reno to make into wine. We're excited to get going and look forward to seeing you all in the tasting room very soon !! Mike is a local Reno businessman who has been involved with this community for many years. His interest in wine also started several years ago - both drinking it and making it ! Mike has also had the dream of having a winery for awhile and was very excited when this could be a reality in Reno. Alynn moved to Reno 3 years ago and also got involved in the dream. She’s been helping out in the vineyard and winery ever since. Together they’ve managed to grow and harvest grapes in Fallon, get the paperwork done and re-furbish their building into the beautiful space it is today for production, tasting and events. Mike’s and Alynn’s kids have also been a great help - as well as many friends who now know how to crush and press grapes !